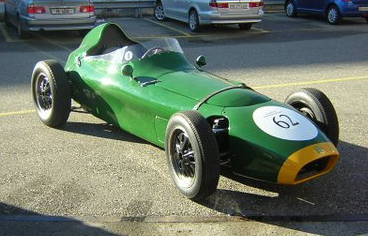 Swebe cars, built by Sven Andersson and Bengt Peterson, are mainly associated with F3/500. 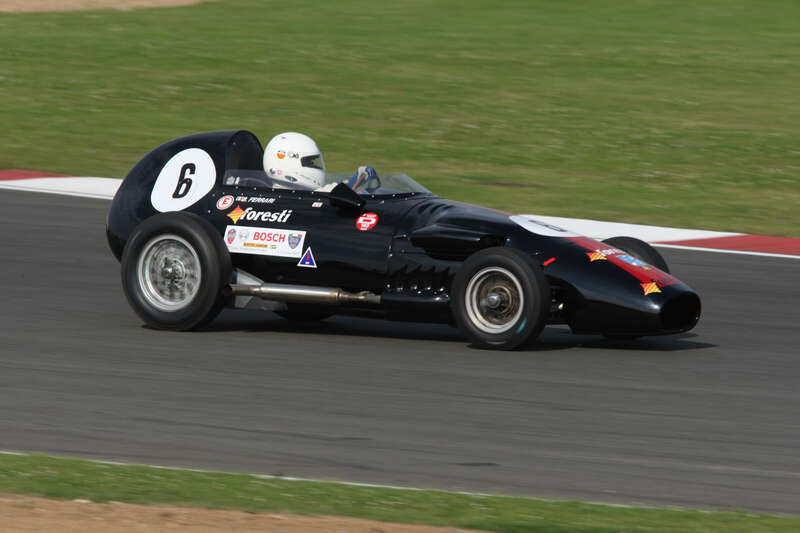 The couple built their first racing car in 1947 with a DKW engine up front and front-wheel drive. 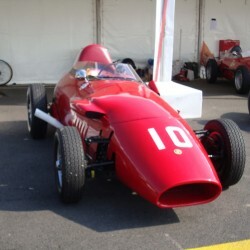 For 1948, their first cars of a more “conventional” F3/500 look appeared. 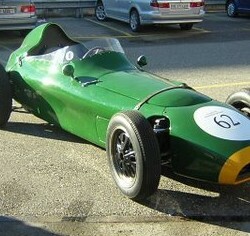 A number of Swebe F3/500 cars followed (some nine in total), but in 1956 Sven switched and purchased a Cooper. 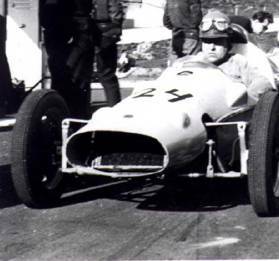 By the 1960 season, Formula Junior had become part of the Scandinavian racing scene and since F3/500 was no more, Sven switched to the new formula and had a car ready for the start of the season. That first Swebe Formula Junior had a Renault Dauphine as a donor car so engine, gearbox (but converted to five speeds according to a magazine article from 1960), brakes and rear suspension were taken from this. The frame and the body were built from scratch. The car was not a success and for 1961, Sven switched to a Lola Mk 2. Bengt Peterson in the meantime focused on building karts under the name of Robardie for his son Ronnie, who of course went on to become one of the more spectacular Grand Prix drivers during the 1970s. 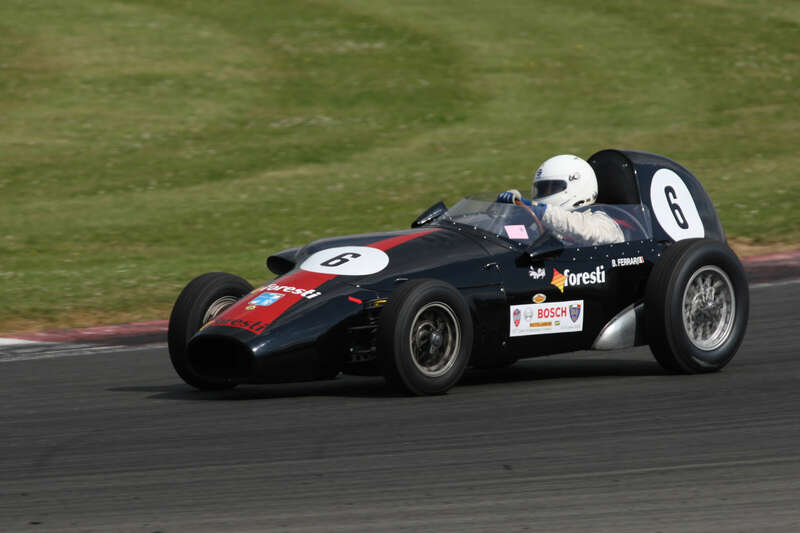 The last stint of car construction came in 1965, when they produced four F3/1000, which were more or less direct copies of the Brabham BT18. 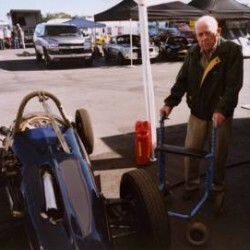 Sven Andersson passed away in July 2009 shortly before his 91st birthday, but up until 2008, he was a regular visitor to the historic races in Karlskoga in June every year, usually stating that he did not remember much about his old racing cars. In 2008 he, however, took some time to remember and gave some comments of interest to the history of his original Swebe FJ and also to my car. Sven Andersson in the Karlskoga paddock in 2007 (photo by L-G Sjöberg). The main problem, he said, about his first FJ was lack of power (“…no chance with Renault when the others had Ford or BMC even if I had a ‘special’ engine…”) but also doubtful road holding (probably that swing axle Dauphine rear end). It appears that Sven, as a renown racing car constructor, also got involved in building other Formula Junior “specials”. When asked how many FJ one-offs he was involved in building, Sven answered that he was not sure, but in a magazine interview in 1964, he mentioned five. I asked him if he could remember any owners upon which he mentioned Ove Bodin and his EBA-Ford and, after a hint from my side, also Ove Pettersson (an early owner of my Swebe/Cooper-Ford). 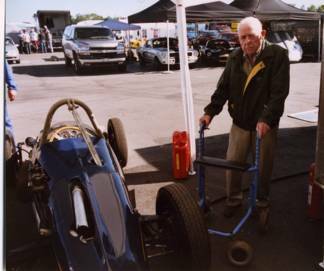 Leading him into the history of my car, he confirmed that a couple of these one-offs used redundant Cooper F3/500 parts but that he also built complete frames (but if these were based on his own design or copied from Cooper F3/500, we never managed to figure out). These cars were made to order and in one case, he got a -57 Cooper without engine and the request to convert it to FJ. A background to the interest in building one-offs was of course cost, but also that several drivers were missing the F3/500 days when lots of racing took place on frozen lakes during the winter season and on unpaved ovals (usually 1000 m and normally used for horse trotting races) during the summer. A continuation of this was expected with the arrival of Formula Junior, so several of these cars were created with this in mind (one has to understand that there were not more than four or maximum five race weekends in total on “real” tarmac race circuits in Sweden during these years). Sadly, those with factory built Juniors showed limited interest in risking their cars on the ice or on ovals and the home-built ones were too few, so by the end of the 1963 winter season there were no more Formula Junior races on these kinds of tracks. 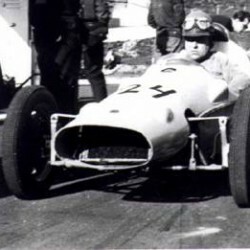 As to the Swebe/Cooper-Ford, it remains uncertain to what extent it was raced by Sven Andersson, but there is one period photo of the car where the driver clearly looks like him. I reminded Sven that he had been entered in a 1960 oval race in a Cooper and asked if that could have been my car, but again memory failed (no wonder since it was 48 years back in time…). One possibility was that the Swebe/Cooper was a stop-gap measure after he gave up on Renault power and before he got the Lola for the 1961 season. 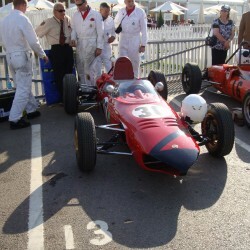 Even so, he does not appear in any results during 1960/61 listed as driving anything but the Swebe-Renault or the Lola. Maybe the intention with the Swebe/Cooper was to use it only on loose-surfaced ovals and ice races. 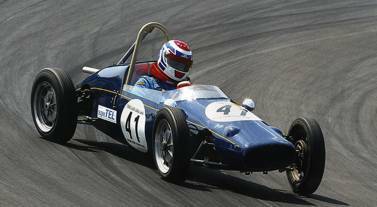 The car anyhow passed on to Ove Pettersson who raced it in -63 and -64 and possibly in 1965 as well, by then converted to single-carb F3 mode and after that got stowed away in a barn. It resurfaced in 1980s and has since then been a regular participant in historic racing with my being the 9th owner in a list of owners with no gaps. It remains in my possession since 1999. 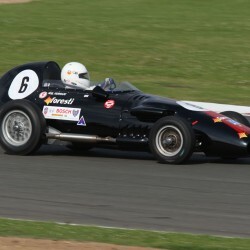 Compared to the original Cooper F3/500 Mark XI, the frame is clearly Cooper but it has been widened to accommodate an H-pattern gear-shift and the cooling water tubes inside the body. Could it also have been that it was widened to allow Sven, who was rather ‘wide’ at that time, to easier fit within it? In consequence with the widened frame, the floor is also widened, while the rest of the body seems unmodified with the exception of the radiator opening and the cockpit sides. Wheels, front and rear suspension are taken directly from the Cooper and wheelbase remains unchanged. The additional weight of the Ford engine in comparison to the original single cylinder does, however, render the car a “slight” tendency towards oversteering, but it is very forgiving. ‘Swebe’ or ‘Svebe’? Actually both. Originally, the spelling was Svebe (derived from the first names of the builders, SVEn and BEngt). In a newspaper interview in connection with his 90th birthday, Sven Andersson confirmed the story that he and Bengt had a number of chromed letters, but exhausted the stock of ‘V’ and therefore switched to ‘W’. In addition, Sven said, the ‘W’ made it look more international. 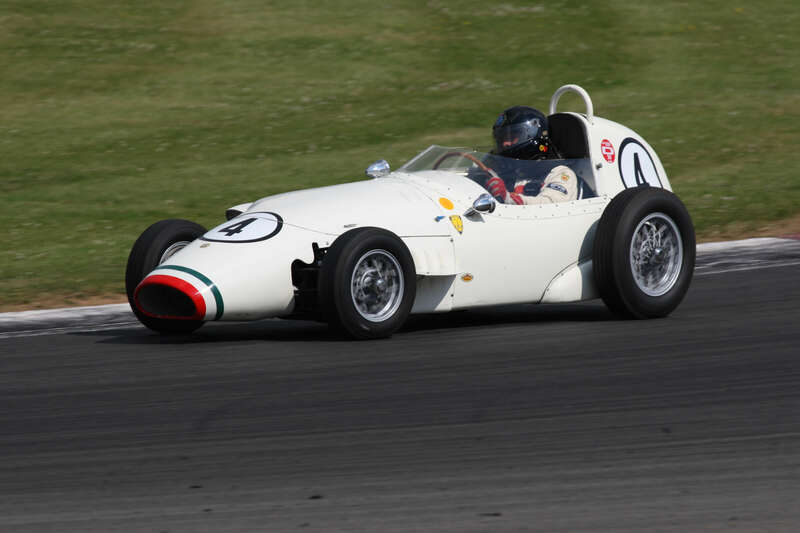 In 1962 and 1963 Swede Svenharry Åkesson produced two BMC-engined formula juniors of up-to-date design, the Spider Mk I and Mk II. He followed up in 1965 with the formula 3 Spider Mk III. 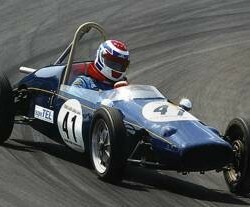 Actually, his first Formula Junior project started in 1960 based on a frame made by Axel “Acke” Johansson (builder of the IFA aka Cooper-IFA aka Cooper-Wartburg formula junior car) and copied from a Cooper Mk 12 F3/500. Åkesson did however not finish this car, since he suspected it would end up being too heavy. As can be seen from the picture below, transmission was intended to be through a Volkswagen gearbox complete with swing axles. In 1961, inspired by a visit to that year’s Racing Car Show, Åkesson started designing his Spider Mk I. 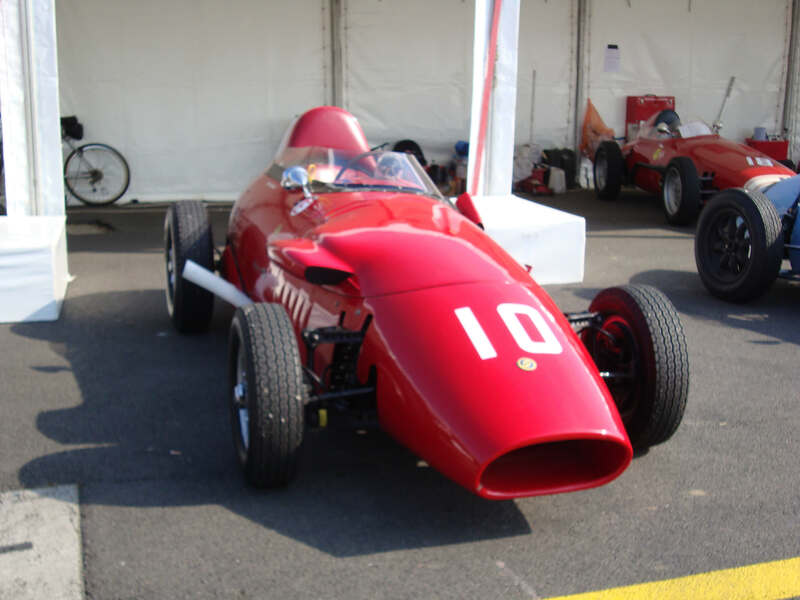 The Mk I had a space frame, aluminium body, drum brakes from Fiat 1100 and a 1 litre BMC ‘A’ engine driving through a Volkswagen gearbox. Suspension followed normal practice of the day with outboard springs/dampers. 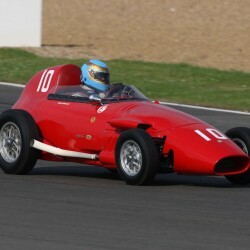 Weight was targeted at 360 kgs because of the 1 litre engine. Once the initial problem of finding a garage where to build the car was overcome construction started in October 1961. Two frames were built, one for Åkesson and the other for the garage owner. However, only Åkesson’s car was finished. 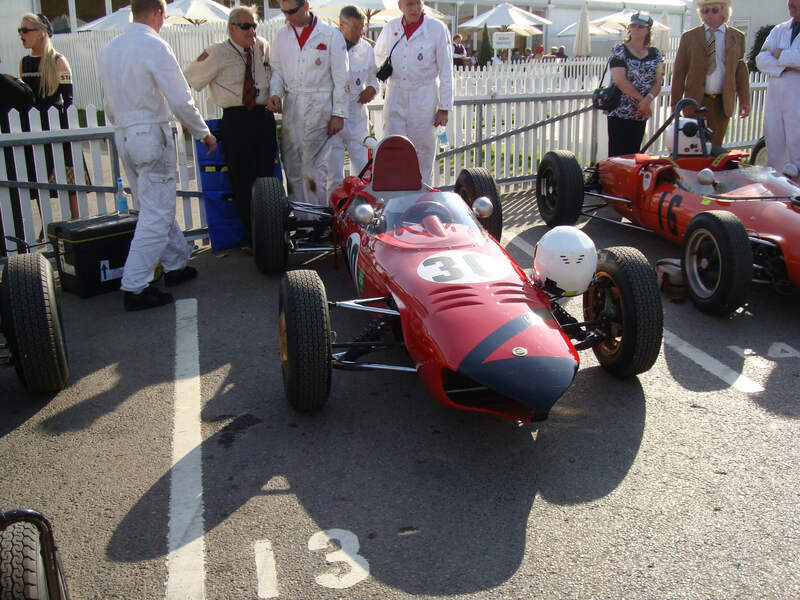 It made its debut in a hillclimb in June 1962 (Röfors in Sweden) but Åkesson had to retire after the gearbox stuck in 1st gear after the start of the first run. The gear selection problems were difficult to solve and the car was only raced two more times in two ice races early 1963. Instead Åkesson raced his Elva 100, which he found more reliable. Plans were already underway for the Spider Mk II, and the Mk I was sold to a scrapyard. The car was, however, never broken up but rather the scrapyard owner used it playing around inside the fence of the yard… Since then frame and bodywork have passed through many owners over the years, but are still around at the time of writing (July 2010). Like the Mk I, the Mk II specification comprised a space frame, aluminium body and an SU equipped BMC ‘A’ engine of 1 litre driving through a Volkswagen gearbox. The new car was both narrower and lower than its predecessor, but generally of a conventional design with outboard springs/dampers. This time the question of where to build the car was solved by being allowed to use the facilities of the vocational school where Åkesson was working as teacher. The Mk II was finished in time for the Swedish 1963 summer season, but was not a rousing success resultwise, one reason might have been the use of a BMC engine when the competition mostly used Ford. Its competitiveness was probably also not improved by the use of standard VW ratios in the gearbox, but at least its handling on the road was excellent. 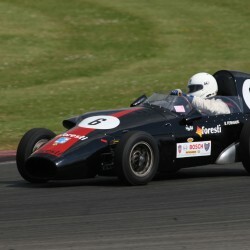 Åkesson continued racing the car through the 1964 Swedish ice racing and summer seasons, where formula juniors were allowed to continue to compete in the F2 class. 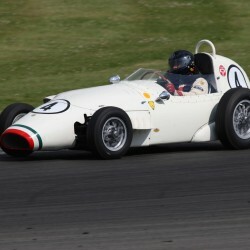 The car had now been uprated with a brand new Speedwell tuned 997 cc BMC A engine and Hewland gears in the VW gearbox. Further, it had been converted to disc brakes stemming from Triumph Spitfire up front and BMC Cooper at the rear. 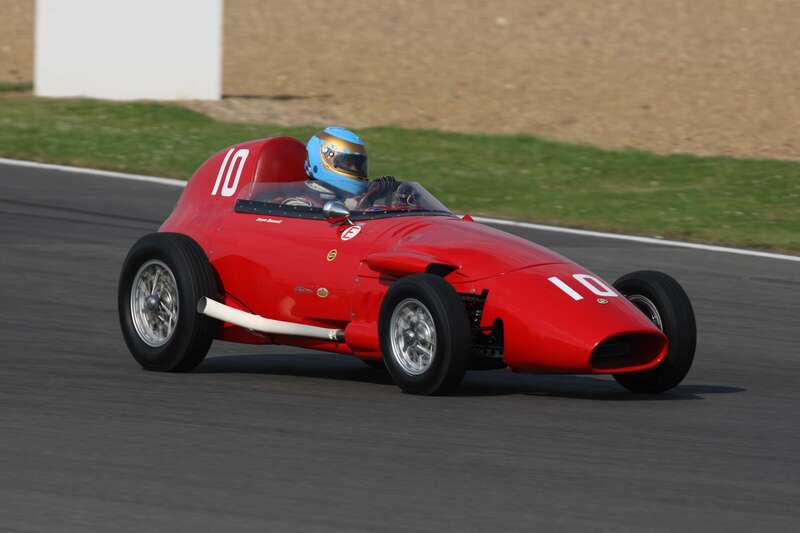 For 1965, however the national races would be for F3 and Åkesson therefore started work on a new car, the Mk III formula 3, which continued the trend of being even lower and more narrow than its predecessor. The Mk II had to act as a donor for the engine, gearbox and master cylinders. Åkesson recovered the remains of the MK II a number of years ago, and has now finished a ground up restoration returning the car to its original drum brake configuration. More information about SIRMAC FJ racing car will be available soon. More information about SENIOR FJ racing car will be available soon. 1 of 9 cars built by Rytune on behalf of Elva cars. This is the only Ford engined Scorpion, 2 being BMC engined, and the remainder being DKW. This is car is incredibly original down to the bonnet leather strap, which can be compared with photo’s in the early 1960’s. Original engine, original body, original chassis. The car spent the last 30 years in Switzerland, competing only in Hillclimbs and demonstrations. Repatriated to the UK a year ago, fitted with up to date roll over bar, engine reworked and rear suspsension set up. Has since been raced by Duncan Rabagliati, Phil Venables, Paul Dixon, and BJ Colaric in UK and at the ‘ring.